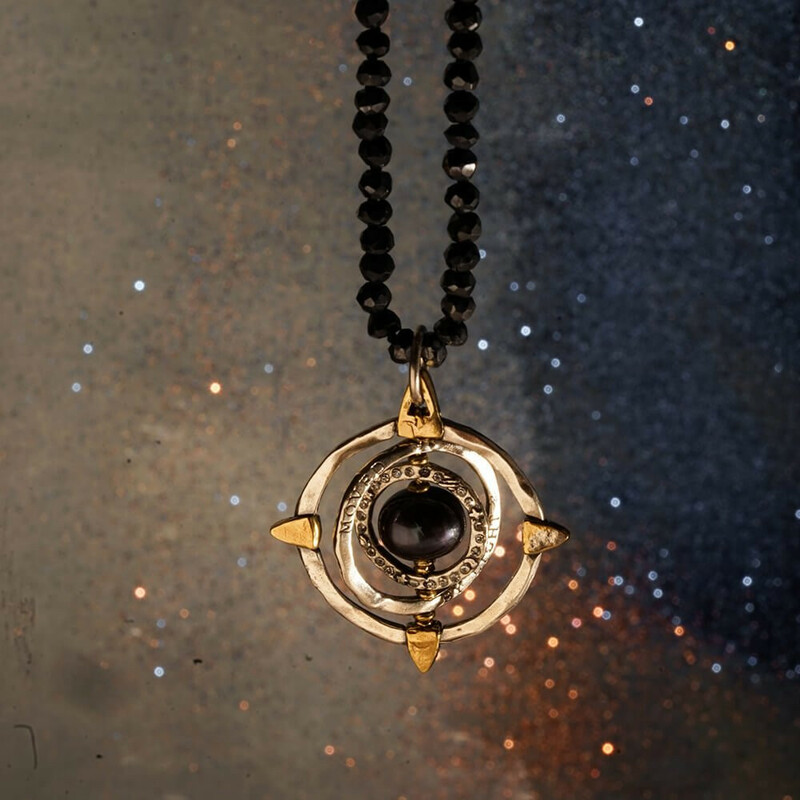 Worlds Away Necklace - Spinel - 32"
What we make has meaning. Most of our jewelry is made in Bali, Indonesia – one of the only regions today that makes a worthy living off of ancient crafts and traditions like silversmithing. The quality and care given to each piece is unmatched. Employees who make our jewelry are cared for. This is of the utmost importance. The business is professional and fair, and the craft of silversmithing is protected. The facility has been around for over 20 years, and many employees have been there for more than 10 years. 125 employees work in the main offices in Bali in departments that range from casting and stonework to packaging, orders and quality, and the office management. Another 125 employees or so work remote in surrounding areas. Many of the employees are family members. Craftsmen and women are cross trained to unify and help each other in illness or over religious holidays. And most of the employees are trained in bead work in case he/she chooses to take the overflow work home to make extra money, or if a mother would like to stay home with her children and make an income. The wages are fair and the integrity is high. Recycled materials are used while other materials are reused. And the decision to purchase new technology or machinery is weighed by how much it helps with efficiency and speed without compromising skill and the human touch. Human touch and craftsmanship will always be what we value most. Skill sets are prioritized and cultivated, and every stage is carried by human hands. Handmade chains are made of silver that was rolled into a wire that is twisted and spiraled. Other pieces start as hand carved wax to create the original model and then hand sanded and polished after casting. 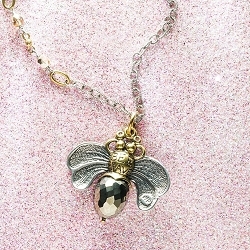 One design is a two-tone single piece of silver with either brass or bronze. This isn’t easy. We relish doing this for quality, to create truly unique and beautiful pieces with detailing that matters. Notice jewelry around you and you’ll see that most pieces like this are separate. To smolder brass pieces onto silver, or silver onto brass, requires a high skill-set that many other companies don’t care to do.